The Minister of Transport, Mr Rotimi Amaechi, on Monday said he was considering an audit of the Nigeria’s seaports to determine their performance level. Amaechi stated this at an interactive session with port concessionaires at the Eko Hotels and suites in Victoria Island, Lagos. He said an audit to know the level of infrastructure development in the ports was necessary. Establishing that the concession agreement cannot be done without the concessionaires, the minister, however said the concessionaires had not even implemented the agreement. Amaechi said the performance of the ports should ideally translate into improved revenue for government, which had not been the case. “If the ports have been doing well, has it translated into more revenue for government? That is what we should be looking at. Responding, the Managing Director of the Nigerian Ports Authority (NPA) Malam Habib Abdullahi, said the concession had been a success, following results of their operations. Executive Director, Marine and Operation of the NPA, Engr. David Omonibeke, however, explained to the minister that operations of the NPA were affected by the CBN foreign exchange restriction policy. On the issue of mid-stream discharge of cargoes and having ocean-going vessels call straight to private jetties, the minister insisted he would follow the provisions of the law. While some stakeholders argued that ocean-going vessels call to government ports before going to private jetties, others were against that position. He said that idea was not necessary because facilities where such vessels called had the presence of all government concerned regulatory agencies including the customs operatives, who would carry out the checks and avoid revenue loss. Amaechi thereby demanded that parties brought their positions with respect to the issue of vessel calls to private jetties by ocean-going vessels. On the issue of terminals that are licensed to receive liquid cargoes of oil and gas, Maritime Lawyer, Mike Igbokwe (SAN) said a level playing field should be created for all operators, in order to avoid a monopolistic situation that could be detrimental to the economy. Talking on trade policy, operators of the Roll-On-Roll-Off operation, PTML, said they only handled 10,000 vehicle imports in 2015, compared to 25,000 it used to handle before then. 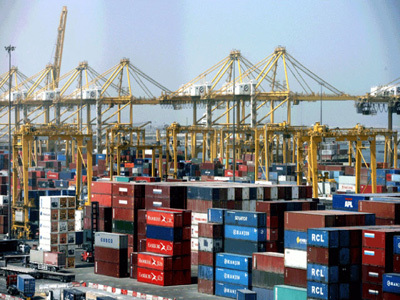 The operator said importers now preferred to use ports of neighbouring countries and bring the vehicles into Nigeria through the land borders, which they said was cheaper to do. Mr Olumide Omotosho, a General Manager, hydrographic operations of the NPA, called attention to the need for updated data, charting and marking of the waterways for safe navigation, as a way to check the incessant boat mishaps lately.